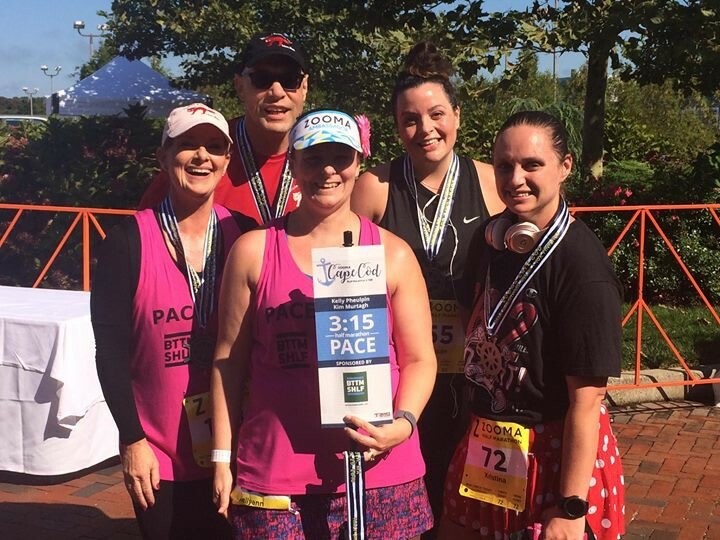 Guest Writer: A few years ago I invited my friend, Kelly Pheulpin, to write a guest blog on her vocation of inspiring others, to run for their health. This new two-part article, is another chapter in Kelly’s ongoing journey of empowering herself and others. As an introduction, Kelly writes: ‘I’m a proud mom of two girls, who is into fitness and helping others around me achieve their goals of living a healthier lifestyle. I’m a mom of a child with Type 1 diabetes and I love to educate others on healthy living and small changes to make their diabetes more manageable’. Kelly inspires me. I hope her unfolding story will encourage you too. I invite you to read and get out and exercise. ‘Every runner has a story, some are moving, powerful, or remarkable; others are just everyday run of the mill but still important in their own right. I had been following the Fellow flowers community online for some time in awe of all the ladies and their stories. While I was down at ZOOMA Cape Cod http://zoomarun.com/race/cape-cod, I was able to talk with one of the founders of ‘Fellow Flowers’, Mel Charbonneau. She is a strong, positive woman who wants to spread her strength to others. While helping her set up for Zooma and chatting about running and how I got involved with Zooma through another Skirt Sister http://www.skirtsports.com, she asked: “Are you Kelly”? I said yes, how did you know? She explained she had been asked to give me a flower and welcome me to the community of Fellow Flowers. I was shocked! My running story isn’t unique or special are you sure you mean me?!? She then gifted me a light pink flower with the saying : “GRADTITUDE to endure against the odds, to thank my body and myself, to admire and love, to honor a hero to be a hero because I know this is so much bigger than me” . She explained that every flower has a special saying; it tells the runner’s story without words. When runners see them on the course, they know if they need help or a person to confide in, we will be there for them. I stood there with tears in my eyes again asking, ‘me, really’? She said yes, because you are the silent runner who gathers and encourages runners with your enthusiasm for the sport, as well as your knowledge to help them commit and change their lifestyles, without ever thinking you have done a thing. She went on to tell me about how she heard of my work with the North Shore Medical Center’s gastric bypass class and excited she was to be able to meet them and cheer them in for their first ½ marathon finish. Race day came, and I joyfully put my pink flower on my visor and got ready to run. 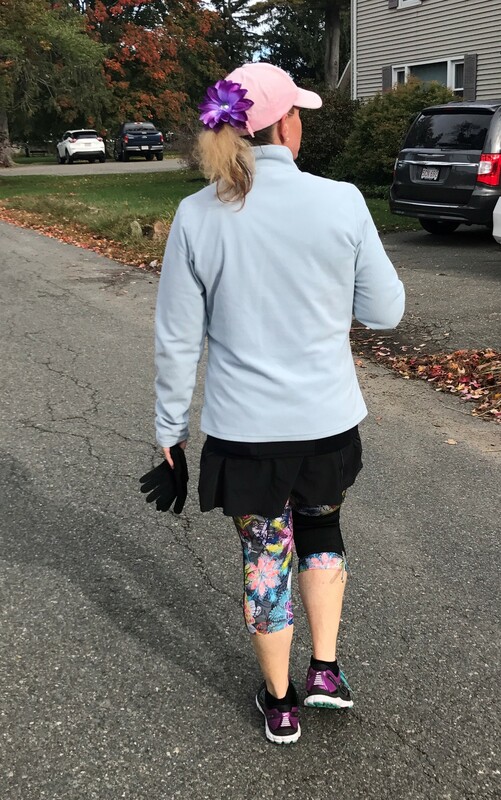 During the ½ marathon I saw a rainbow of flowers on all types of women and felt an instant connection to them without ever saying a word. Zooma’s race while the distance was not new to me was a unique experience, I still can’t get my mind around.